Another wonderful session today after a short break over May. Great turn out and some fantastic new music being created! 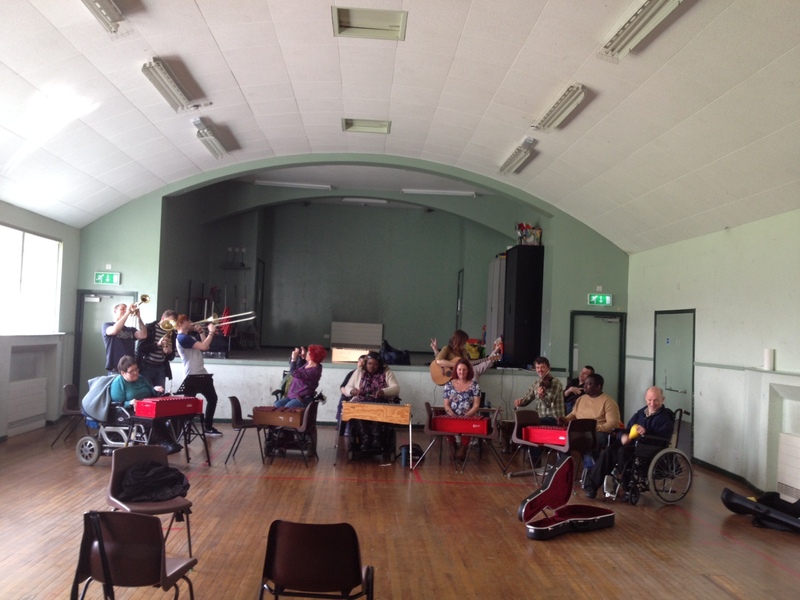 Also in Early to Mid September 2015 we will be fundraising for Musical Arc with “Walk And Roll”-a mile circuit with all members of Musical Arc. This will be a sponsored event and we will keep followers posted about the dates for this and be sharing ways you can donate to the charity. 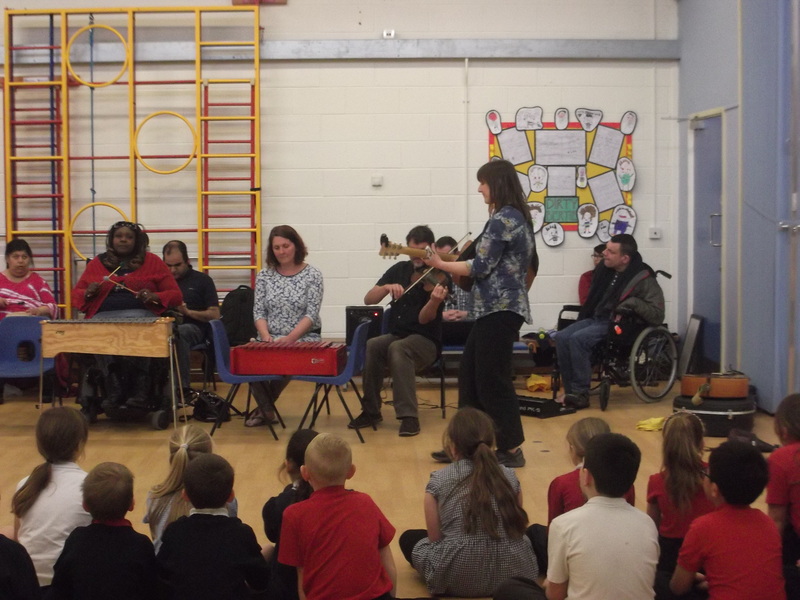 We would like to say a big thank you to all the Musical Arc members for yet another wonderful workshop, this time at Kippax Ash Tree Primary. Musical Arc met for the annual general meeting today. 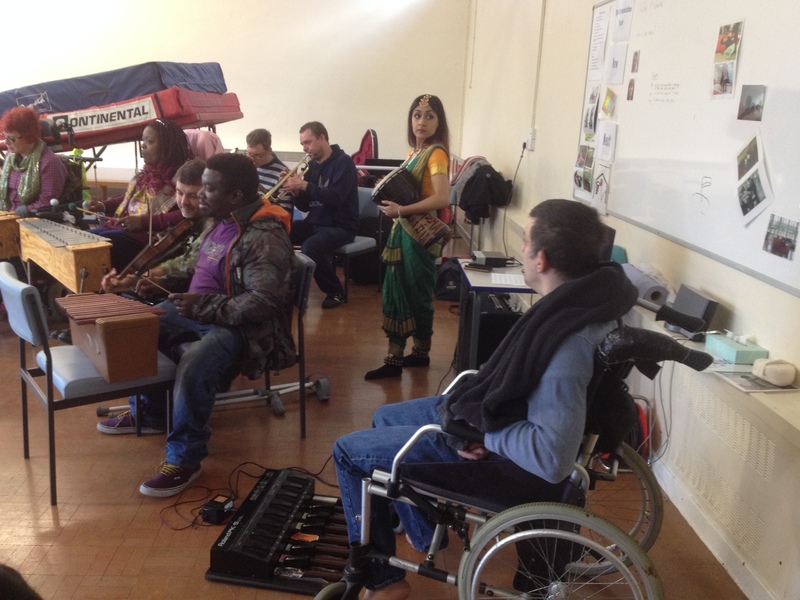 It was lovely to reflect on the exciting year that Musical Arc has had, performing the Mango Tree and leading workshops all around Leeds. It was also a good chance to talk about the future and what we would like to achieve over the next year. I hope all the members are as excited about the coming year as we are. Next week we will be popping into Kippax to lead another workshop. 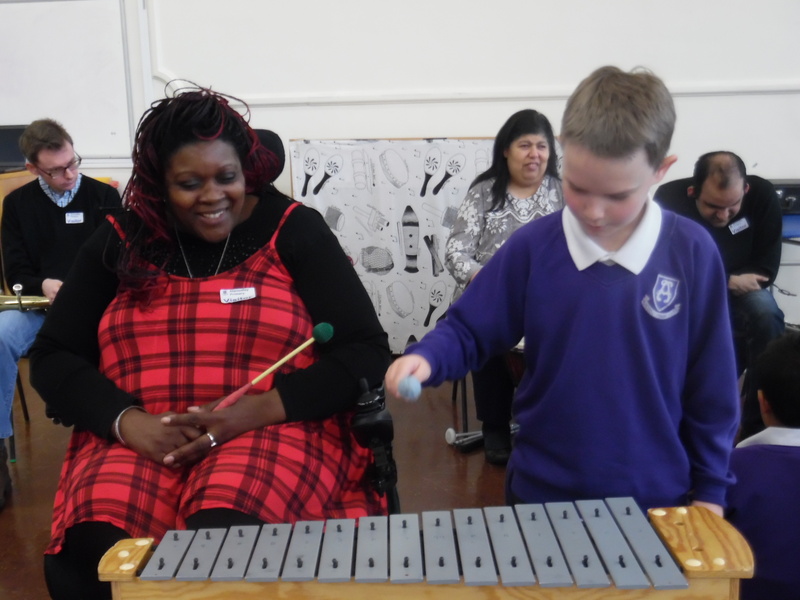 Musical Arc has had some great news. Thanks to the Leeds Community Foundation- Red Nose Funding we have secured £1000 towards our great work…..
Congratulations to all the other successful applicants!! Great news! Today was the first Musical Arc workshop of the year!! Musical Arc had a wonderful day at Alwoodley Primary School, a brilliant, thriving school with positive and supportive staff. 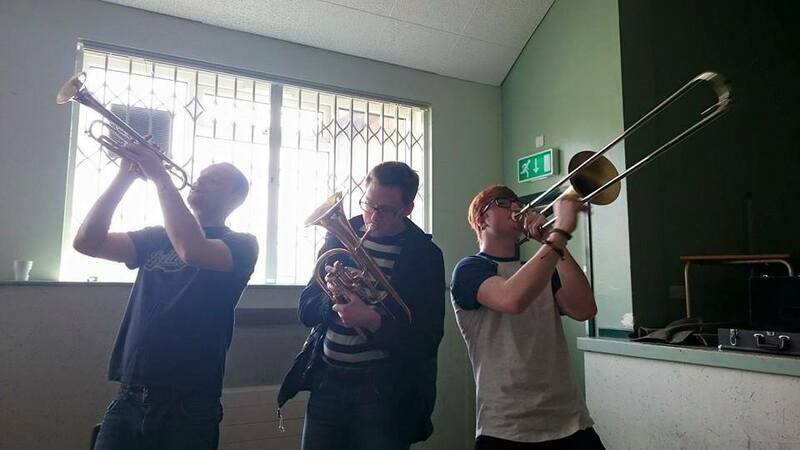 A great Musical Arc rehearsal today, although it was only the second time we have all met and played together in 2015 everyone was sounding as brilliant as ever. Today we were lucky to be joined by two fantastic musicians, Nina and Connor. We were also visited by a very familiar face, Julia. Musical Arc members and staff were able to express their thanks to Julia for all her hard work for Musical Arc over the years and wish her all the best for the future. Musical Arc are geared up and ready to give an exciting workshop at Alwoodley Primary School on the 23rd March. Today was the final autumn Musical Arc rehearsal before Christmas; we have had a phenomenal season of workshops and rehearsals, with amazing performances and work from all of our members. 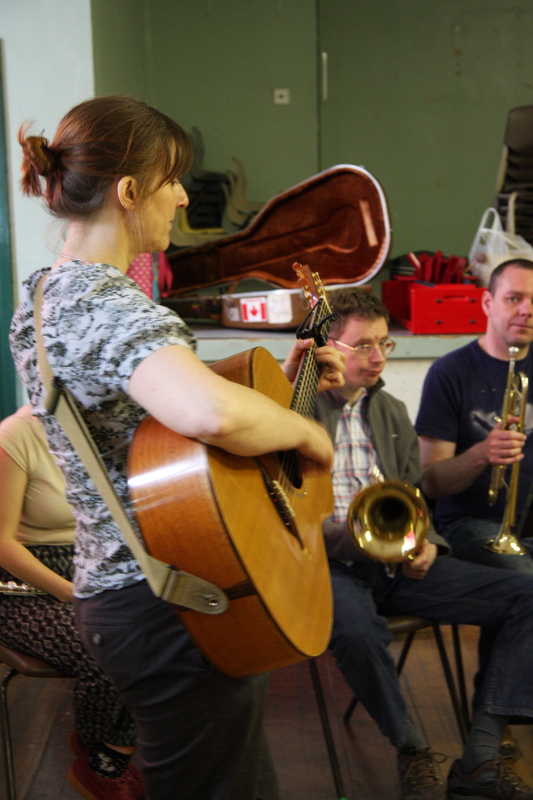 We were also delighted to be joined by talented guitarist Jonathan and a lovely new member, Jake. Sadly, next week will be the last workshop before Christmas, although I have no doubt that we will finish the season in true “Musical Arc” style.